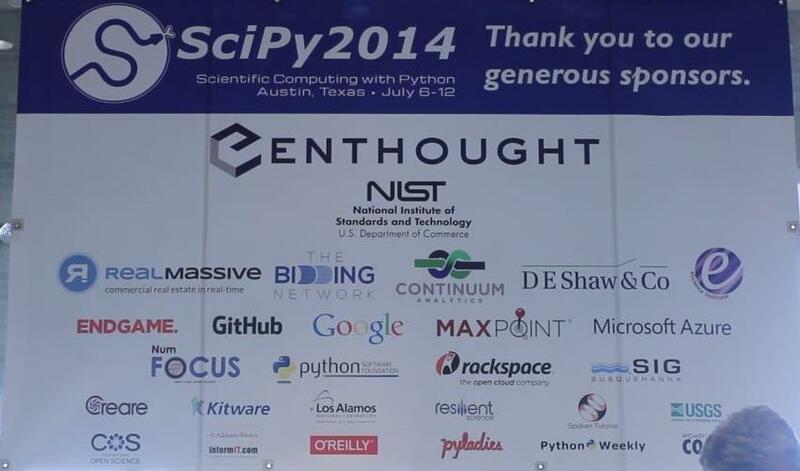 Why Sponsor the SciPy2015 Conference? Last year, the new SciPy Job Fair and sponsor tables were an overwhelming success and we will be bringing them back again. The job fair will be held in conjunction with the opening night annual reception. Sponsors who choose to participate will have a chance to meet with attendees and discuss opportunities and potential fit. SciPy brings together some of the best minds in scientific and analytic computing, 25% of them students; you’ll be hard-pressed to find this kind of audience anywhere else. Please email jillc@enthought.com or call 512-537-1056 with any questions or to reserve your sponsorship package. Promotion opportunities: logo on website, social media promotion, mention in e-newsletter to 50K+ list. 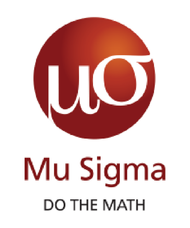 Download the SciPy 2015 sponsorship prospectus here. At SciPy 2014, sponsorships increased 85% over 2013 thanks to the generosity of NIST, RealMassive, The Bidding Network, The D.E. Shaw Group, Endgame, Github, Google, SIG, Rackspace,Python Software Foundation, Continuum Analytics, NumFocus, Microsoft, Maxpoint Resilient Science, University of Washington eScience Center, USGS, Kitware, Los Alamos National Laboratory, Creare, and our institutional sponsor, Enthought. 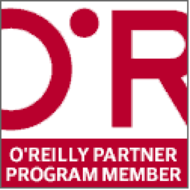 Media and Community sponsors included O’Reilly, Pyladies, Python Weekly, Women who Code, and the Center for Open Science. 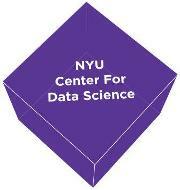 SciPy offers scholarships for students and researchers who contribute to the community. In 2014 we were able to pay the travel, registration, and lodging costs for 19 applicants, including 5 diversity aid recipients, selected for their outstanding contributions to open source scientific Python projects. In the last 9 years over 85 students have attended from countries around the world.